I'm not going to lie; this makes me very happy. The venerable VW Type II Microbus, which was supposed to finally go out of production in Brazil after (in various versions) 63 years, may be getting a reprieve. 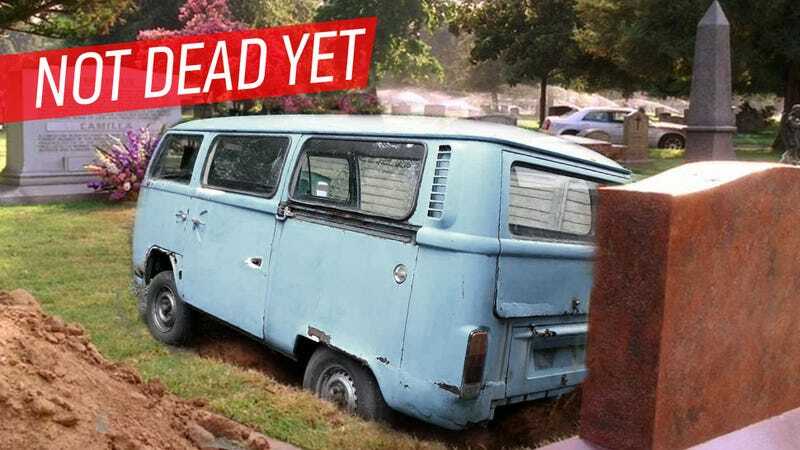 A meeting of officials on December 23rd will decide the Kombi's ultimate fate. Even if this phone-call-from-the-Governor doesn't happen, VW has already announced that they will be building twice the number of Ultima Edition Kombis than previously announced, for a total of 1200. This is because even at a pricey $36,000 for the nostalgia-saturated last edition demand was far higher than expected. The reason for the Kombi's planned demise was due to new Brazilian rules that would demand ABS and airbags in every new car or truck sold. The VW Kombi is not really considered a car or truck by the Brazilians, and other manufacturers have proven surprisingly accommodating to the idea of giving the bus an exception, citing the fact that nobody really makes anything that competes with it. There was no resistance from automakers to create a waiver [forgiveness] for the van because the product has no competition. Not truck, not car. [The] vehicle's a different product, unmatched. I really hope the Old Lady gets an exemption come the 23rd. The basic design of this version of the Kombi started in 1967, making it likely the third oldest car platform still in series production, behind the traditional Morgan and the Hindustan Ambassador. Sure, it's not going to have ABS or air bags and will likely remain one of the least crash-safe cars you can buy, but whoever's buying one will know what they're getting into. These new-old Kombis do sport a stuck-on radiator for their more modern, liquid-cooled engines that can run on either gasoline or sugar-cane alcohol (and make an impressive-for-a-Microbus 80HP) but they're fundamentally the same vans many of our parents or grandparents did disgusting, filthy, drug-addled things in decades ago. The Microbus is also simply a really good, useful design, and even today has some modern decedents, the Tata Nano most famously. No matter what, the old girl's not going down without a fight, and I suspect that the Brazilian Mars Colony will be using these to haul me to and from the spaceport when my kids ship me off to the Martian Home For the Aged and Annoying.